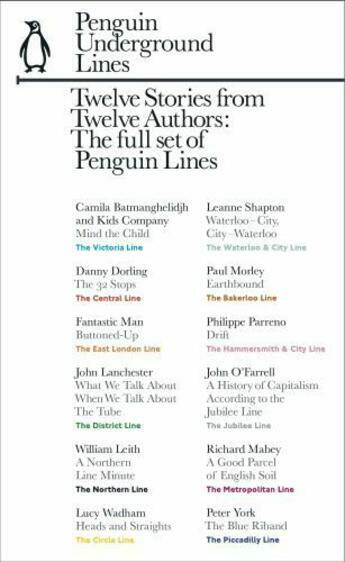 To celebrate the 150th anniversary of the Tube, the Penguin Underground Lines brings together 12 books by writers ranging from John O'Farrell to John Lanchester, Lucy Wadham to the Kids' Company Name: Penguin Underground Lines Date of Birth: will be born 7th March 2013 Vital statistics: Twelve books, one for each Underground line, to celebrate the Tube's 150th anniversary Idea for series: Penguin asked twelve people to tell their tale of the city in 15,000 words (or in one case, no words at all), each inspired by a different tube line. Defining characteristics: While the responses range from the polemical to the fantastical, the personal to the societal, they offer something for every taste. Read individually they're delightful small reads, pulled together they offer a particular portrait of a global city.